The under side of the San Francisco BART extension–Pillar with earthquake supports. 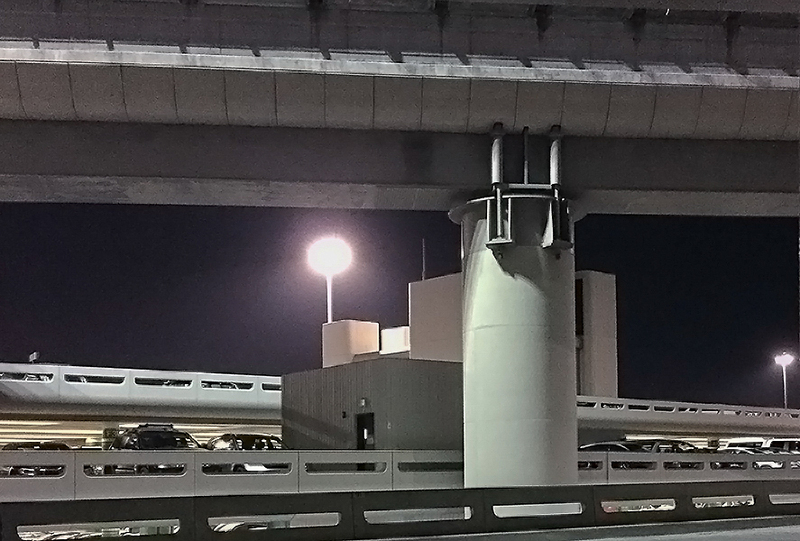 Waiting for a door-to-door van at San Francisco International Terminal 3, I noticed the detail of the BART pillars that are massively reinforced against the next San Francisco earthquake. A somewhat grimy view in daytime is quite charming at night. This is an iPhone6 photo; amazing how often that is the only camera available when you need one for a snap. Follow the link to see what other bloggers posted for ‘close-up‘ on the WordPress weekly photo challenge. This entry was posted in San Francisco, Travel Blog and tagged iPhone, Postaweek, Weekly Photo Challenge by carto. Bookmark the permalink.